LG has left major smartphone manufacturing companies like Samsung, Huawei and Apple behind by launching its new flagship device with three cameras on its back and two cameras in the front. The recently launched LG V40 ThinQ is the first smartphone to sport five cameras. Earlier, the Huawei P20 Pro having three cameras on the rear side and just a single front camera were launched, making the highest number of cameras at four. 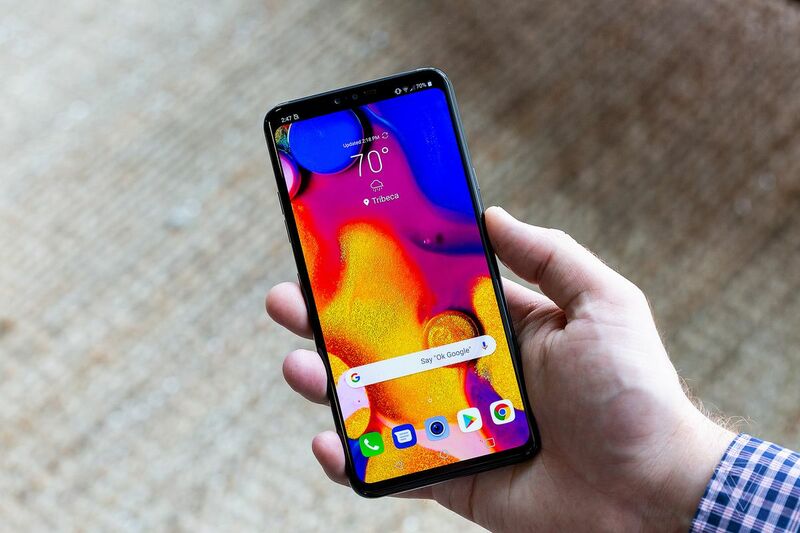 But if it’s all about the number game, then LG has outrun all with its newest LG V40 ThinQ smartphone. Talking about the specifications of the phone, the LG V40 ThinQ looks quite similar to the LG G7+ which was launched earlier in 2018. The smartphone sports a 6.4-inch FullVision QHD+ OLED display with a 3120×1440 resolution and an aspect ratio of 19.5:9. The LG V40 ThinQ is powered by a Qualcomm Snapdragon 845 chipset which runs on Android 8.1 Oreo OS. Regarding storage, the LG V40 ThinQ features 6GB RAM and a storage option for 64GB or 128GB UFS 2.1. The device also offers an expandable storage option of up to 2TB through a microSD card slot. Even though the specifications are not that great compared to the other flagship devices released this year, the camera is what makes the LG V40 ThinQ stay ahead of the crowd. In the rear side, the phone sports a combination of 12 MP camera having aperture f/1.5 and a 16 MP ultra-wide-angle camera with a f/1.9 aperture. This year, the Korean company has also added a third 12 MP tele camera with an aperture of 2/2.4. This is the first time that the company has introduced a flagship phone with a telephoto camera. In the front, the device sports dual selfie camera- 8 MP with f/1.9 aperture and a 5 MP camera with f/2.2 aperture. The LG V40 ThinQ supports a dedicated button to launch the Google Assistant. It has a battery capacity of 3,300mAh which is quite disappointing in a phone belonging to the LG V series. But the good news is that the device supports fast wireless charging, a first time for an LG smartphone. The smartphone also comes with support for Bluetooth, WI-Fi, GPS, as well as 4G LTE. The device is IP68 certified dust and water resistant and is available in color variants: Platinum Gray, Aurora Black, Carmine Red, and Moroccan Blue. The LG V40 ThinQ comes at a starting price of $900 in the United States and will be available starting from October 18. LG has not yet confirmed the India availability and price information about LG V40 ThinQ.